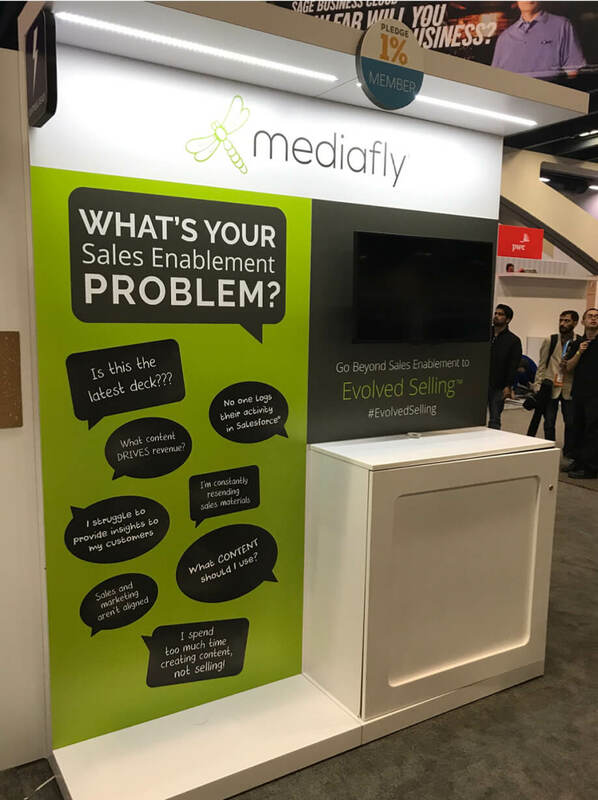 Mediafly was heading to Dreamforce 2017, the largest Salesforce conference of the year and wanted their booth to stand out from all the other companies whose apps help with Sales Enablement. 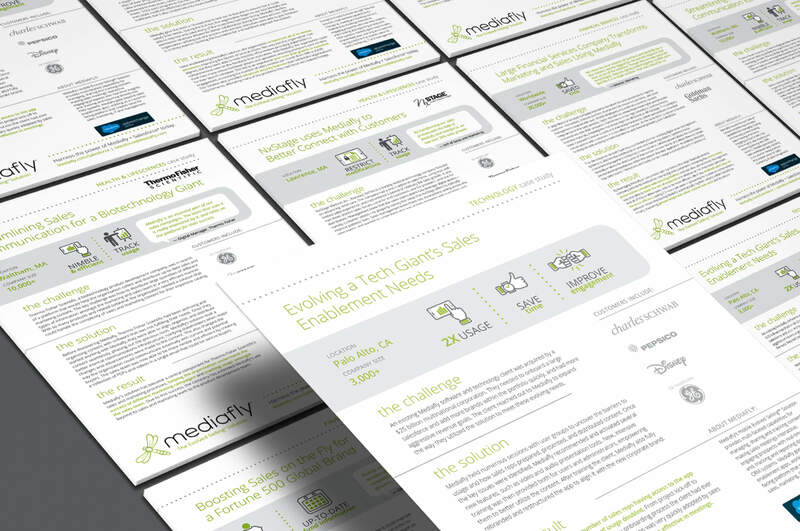 Additionally, they needed collateral materials they could share with prospective clients and the Salesforce sales team. We met with the Mediafly team and had a great brainstorm session, then provided several different options for their booth design. They chose the boldest option, which featured talk bubbles with challenges their customers face. The booth was a huge success — people literally came up to the booth and said, “I have that problem. Can you really solve that for me?” Mediafly got 3,200 leads at the show and has had over 60 follow-up meetings. 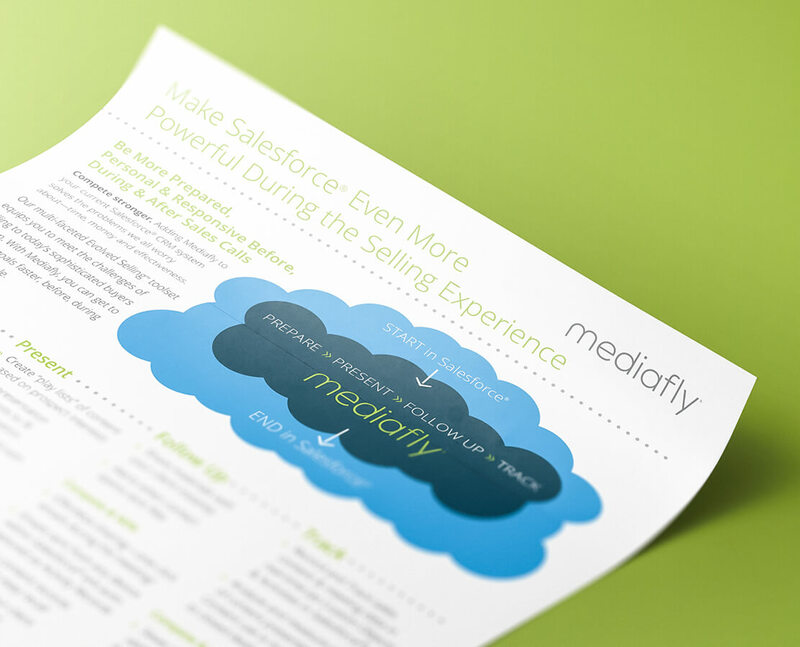 Using Mediafly’s existing brand guidelines for logos, fonts, and colors, and the information we learned in a brainstorm session, we provided a few options for both content and look and feel for their Dreamforce 2017 trade show booth. 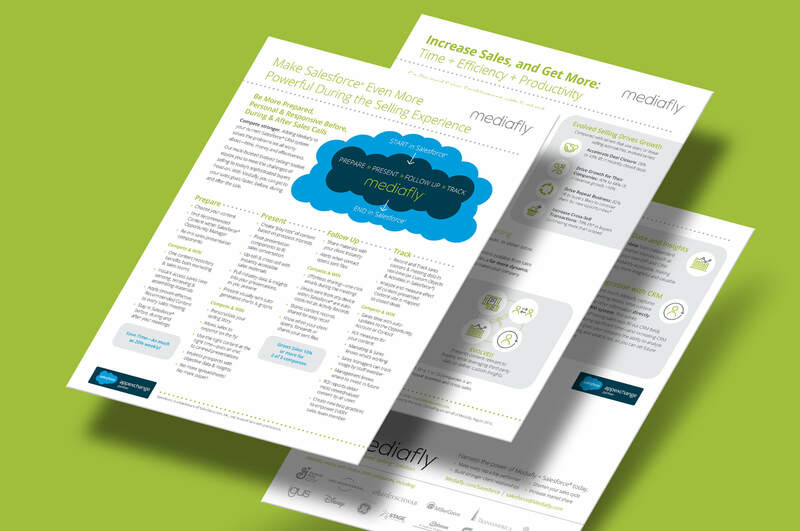 To attract attention to the booth, we highlighted typical problems between sales and marketing in most companies, all of which Mediafly solves. Prospective clients saw issues they were facing on the booth and flocked to talk to Mediafly reps about how the app can solve those issues. 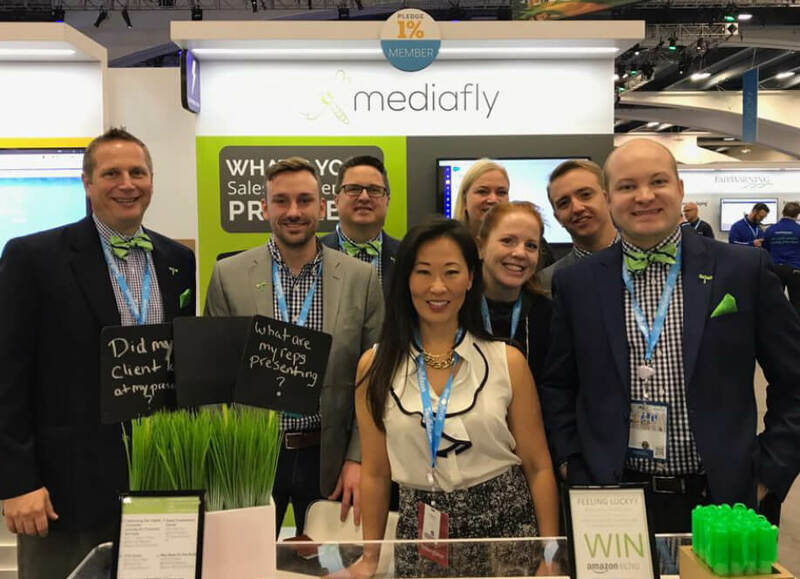 The team garnered over 3,000 leads at Dreamforce. 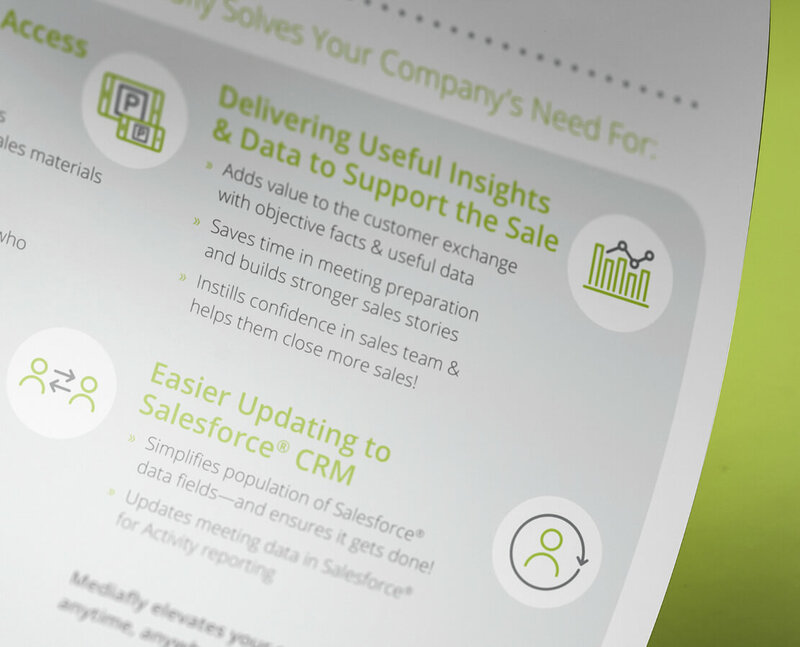 To sell an app through Salesforce, it helps to have the reps on your side, so it’s important to capture their attention and clearly explain how your app can help their clients. The reps walk the floors at Dreamforce, so we created a small piece that would be easy to tuck into a pocket. 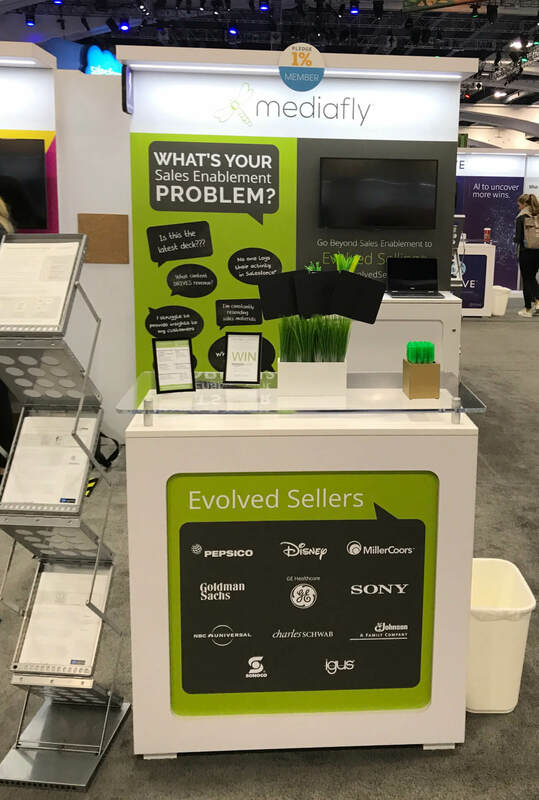 It features the issues sales and marketing people face (which were also on the Mediafly booth), so that reps could quickly see problems their customers have, and inside learn the benefits of the app and how Mediafly helps solve those problems. 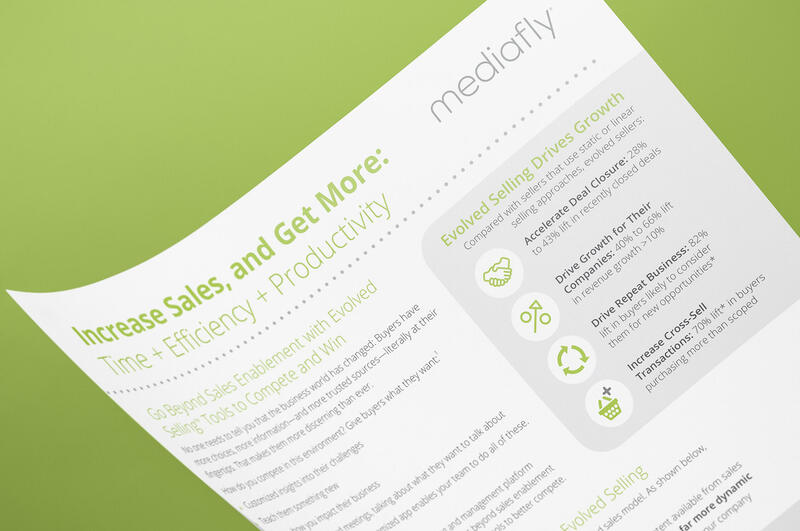 Want to send leads soaring at your next trade show?